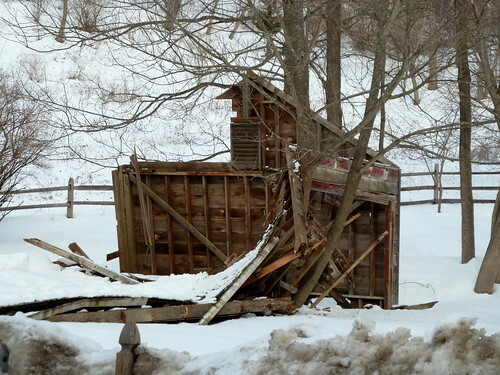 collapsed barn, originally uploaded by jahansell. This old barn, which I've photographed quite a few times, collapsed a few days ago under the weight of all the snow and ice. It's supposed to be over 40 degrees today, and past 50 by the weekend - while I won't break out the shorts just yet, it's a welcome break! A lot of that going around in Connecticut.